Newborn Photography in New Jersey - NJ family photographer | maternity and newborn photography in Philadelphia, Cherry Hill, Moorestown, Cinnaminson, and NY. Maternity sessions are best held during the last two months of pregnancy. When photos are taken anytime before 28 weeks, I have found it does not quite capture the beauty of star of the show your baby/belly but after 28 weeks or so would. Being comfortable is the most important part of it all. For newborns it is never too early to book a newborn session. Due to the unpredictable nature of newborns, your newborn session is reserved based on your estimated due date. 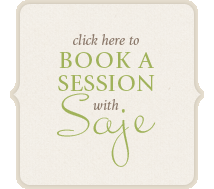 The baby's due date is noted, and then as soon as baby arrives, we ask that you contact Saje right away. A solid session date is then set at that time. Your reserved newborn session is to take place within 10 days of baby's actual date of birth. If you are given an induction or c-section date, the actual session date can be booked in advance. Please Note Sessions Fees do not include any products, prints & products are purchased separately. Session fees on non refundable. This includes any unused babies first year packages. If your baby is already born, under 10 days of age and you wish to schedule a session, please contact Amy *as soon as possible*. Since her love is photographing newborns, Amy will always try to accommodate newborns under 10 days old when possible. WHAT'S THE IDEAL AGE TO PHOTOGRAPH MY NEWBORN? The absolute BEST time to take newborn photos is within the first 10 days of life. As long as Mommy is feeling ready, the younger the baby the better - preferably between 4-6 days old. Older newborns tend to not sleep as soundly and don't "curl" as a younger newborn does. Newborn acne and colic may flare up at around 1.5-2 weeks of age, as well. The images seen in the galleries are of newborn babies all under 7-10 days old. HOW LONG IS A TYPICAL MATERNITY SESSION? Maternity sessions are typically between an hour and an hour and a half - allowing plenty of time for clothing changes and artistic posing. WHAT SHOULD I DO TO PREPARE FOR MY MATERNITY SESSION AND WHAT SHOULD I WEAR? Rest assured I will prepare you for everything! After the session is booked, I will send you to a client information website with all the necessary preparation suggestions and visual clothing ideas. I am also available to discuss these ideas over then phone or via e-mail if you would prefer. HOW MANY IMAGES ARE SHOWN IN A TYPICAL MATERNITY SESSION? The average maternity session I will show between 15-20 fully edited gallery images. WHAT SHOULD WE DO TO PREPARE FOR MY NEWBORN SESSION AND WHAT SHOULD WE WEAR/BRING? I usually suggest bringing long sleeve black shirts for both mom and dad, as well as white if available. Again, rest assured I will fully prepare you for every step of the way. Prior to our session, you will be sent a list of things I will need you to do right before our session, what to bring to the studio, as well as what to expect when you arrive. I believe open communication is the key to a successful portrait session. HOW MANY IMAGES ARE SHOWN IN A TYPICAL NEWBORN SESSION? A typical newborn session includes between 25-35 fully edited gallery images. HOW LONG IS THE AVERAGE NEWBORN SESSION? I will always adapt the sessions according to each individual newborn. It's not uncommon for the session to last between 3-4 hours, allowing for plenty of time for feeding, artistic posing and comforting. HOW LONG BEFORE THE SESSION IMAGES WILL BE READY? Within 3 weeks of your session I will e-mail you to schedule a in home ordering session, or should you be beyond 10-15 miles away I will supply you with a link and password to view your online image gallery. The gallery will contain 25-35 fully edited images from your session and will be available online for 5 days. You may share your gallery password with anyone you would like. Friends and family are more than welcome to view the gallery if you choose as well as order photos online. WHEN SHOULD WE EXPECT OUR PORTRAIT ORDER? Orders are sent to print only after payment has been made in full (or check payment has cleared). Please allow 2-4 weeks for final delivery of all orders. Depending on the product ordered, it could take up to 6 weeks. Due to the custom nature of each session and product, all sales are final. Saje Photography LLC is a fully licensed and insured company!